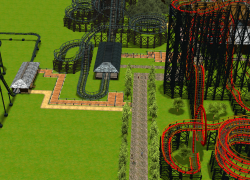 I got the idea from the movie and series WestWorld. The only thing is there are no human killing robots in this park. 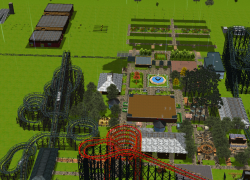 This is a western theme park but because I am unable to change my backgrounds you are getting a western theme without the desert. Just think of it as being in the Midwestern states such as Arkansas, or even California. As with all my creations any and all help is greatly appreciated as are comments. Please enjoy. Hi there, I was looking for a new project and I think that I'm going to take yours on. 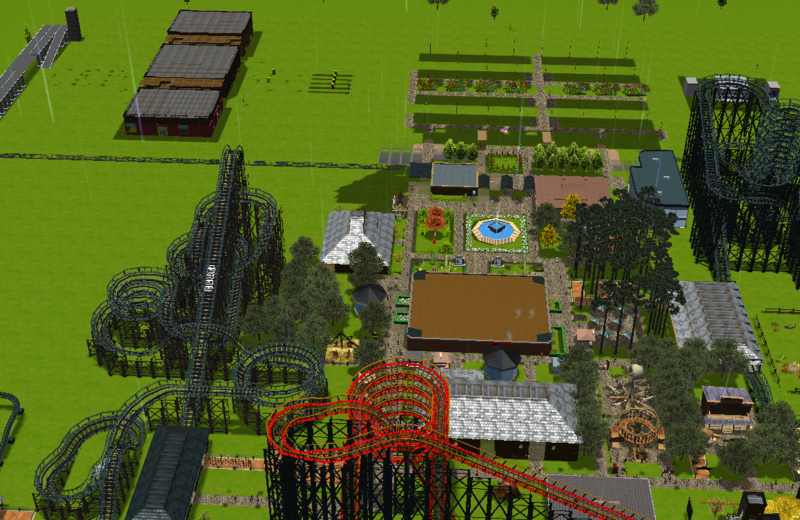 I like the "base" of your park and I'd like to add-on to it. 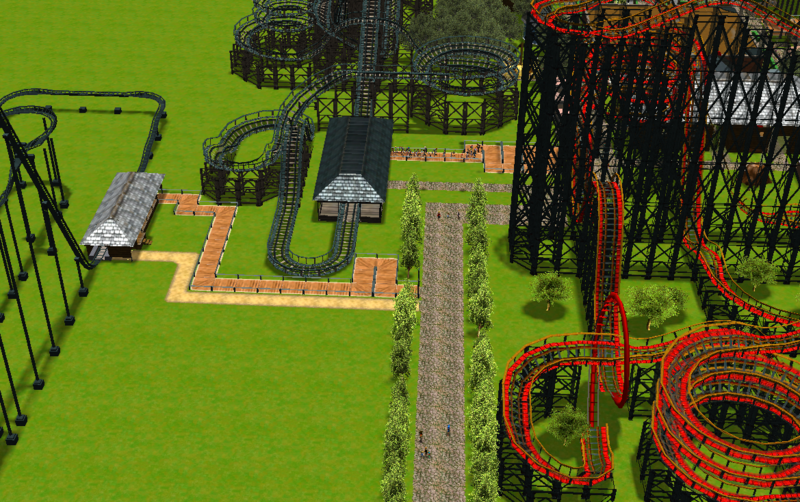 I don't use much custom scenery except for Dasmatzes transportation and coasters - but these are super common. 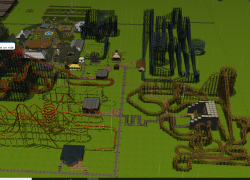 It will take me some time to build the park the way that I would like to make it - but afterwards I think that you'll like what I've added to it. 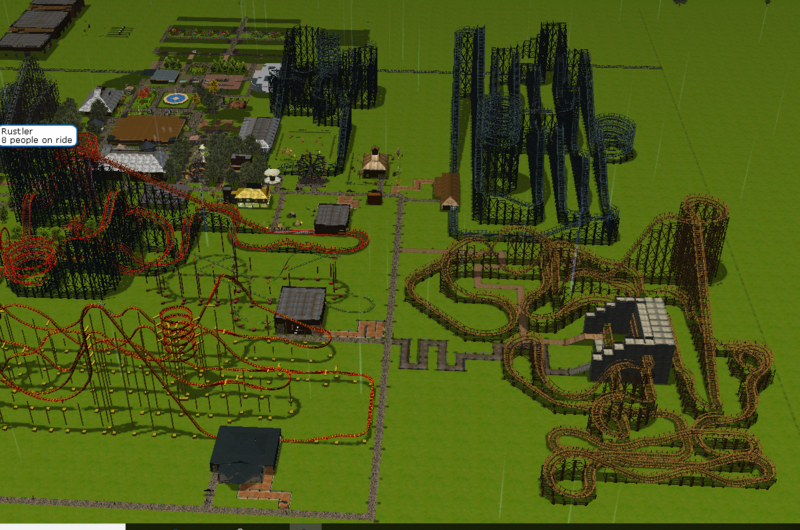 Perhaps you could do the same with one of my unfinished or partially finished parks some time.